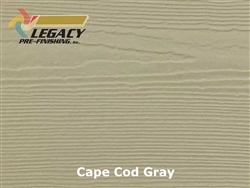 Prefinished Fiber Cement Siding | Legacy Pre-Finishing, Inc.
Having your siding prefinished (factory finished) offers a number of benefits not only for the homeowner but the builder as well. 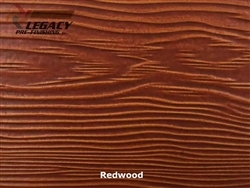 First of all, we offer a wider variety of color choices from beautiful timeless solid colors to stain colors that enhance the cedar texture of the siding so it looks like real wood. 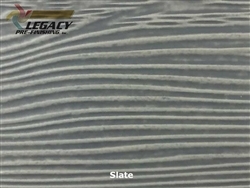 Because we apply these finishes to the material when they are laying flat you don't end up with runs, drips, and lap (brush) marks. Pre-finishing is available all year round and because we are painting inside a 42,000 square foot building we don't have to worry about rainy days slowing us down. Your material will arrive already painted on all five sides, dry and ready to install. One great advantage is there is no taping of windows, overspray or paint clean up on site. The only painting that will need to be done is the sealing of end cuts, covering nail heads and any minor touch up needed after installation. Custom Prefinished Allura Fiber Cement Siding Products available in solid and stain colors. 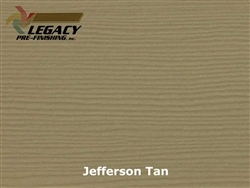 Custom Prefinished James Hardie Fiber Cement Siding Products available in solid and stain colors. Custom Prefinished Nichiha Fiber Cement Siding Products available in solid and stain colors. 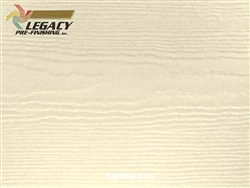 Available in Cedar or Smooth Textured Fiber Cement Lap Siding. All products are made to order.